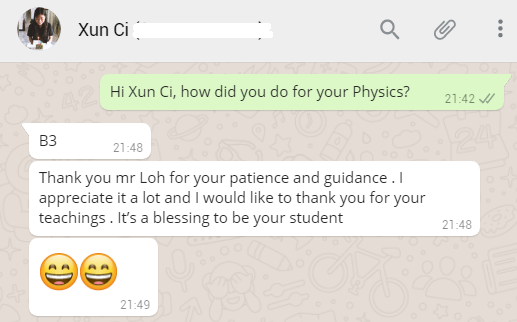 Thank you Mr Loh for your patience and guidance. I appreciate it a lot and I would like to thank you for your teachings. It is a blessing to be your student.